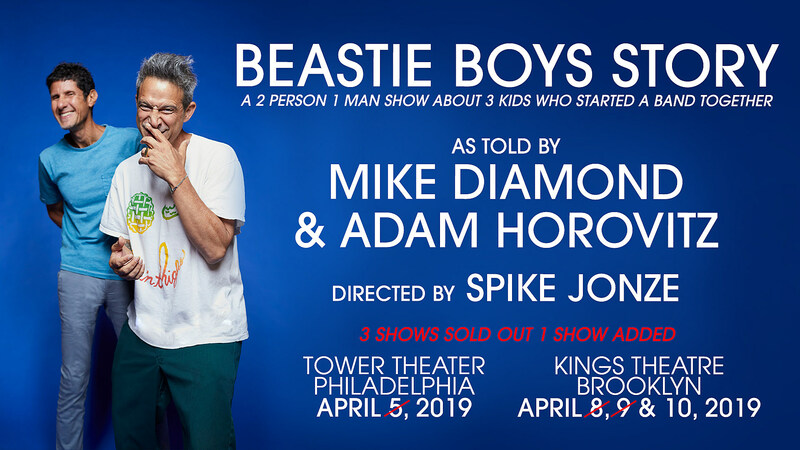 Mike D and Ad Rock will be telling the ‘Beastie Boys Story’ (“A 2 Person / 1 Man Show About 3 Kids Who Started a Band Together”) live on stage, directed by Spike Jonze, and events in Brooklyn and Philadelphia in April. The two announced nights at Brooklyn’s Kings Theatre sold out (so did the Philly show) so they’ve added a third Kings show on April 10. Tickets for the 4/10 show go o sale Thursday, March 21 at 10 AM. Ad Rock and Mike D were at SXSW to for a keynote conversation and said that these events — which were inspired by last year’s Beastie Boys Book: Live & Direct shows but will be different — will be filmed and released at a later date.